We want everyone to have the chance to get their "Wow! Wild Water Towers" calendar! We still have a few left! It's a fundraiser for the nonprofit Community Resource Group which helps rural communities with projects concerning their H2O needs. Don't miss out! This is perfect for the water tower lover in your family! 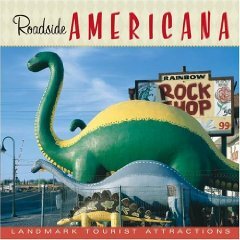 Our good friends at roadsideamerica.com are helping Pabst Blue Ribbon put together a travel guide which will feature some of their favorite roadside landmarks from around the country. Details are sketchy for now, but we'll let you know when we know more! The Illinois Governor's Conference on Tourism was held in Springfield. Attending is always a good time and a lot of fun seeing our industry friends from around the state. It's especially fun hanging out with our pals from the Tourism Bureau of Southwestern Illinois. The best part of the conference is networking and meeting new people who enjoy the Catsup Bottle. Here at Catsup Bottle Central Command Headquarters we did a video interview with Miranda Summers of KDHX. She is doing a documentary on the Bottle District development in St. Louis which features the giant Vess bottle. The developers are friends of ours and suggested she add a bit about the Catsup Bottle restoration. We were contacted by the photo editor at Midwest Living magazine and happily provided a CD full of Catsup Bottle pictures. Look for us on the "Discoveries" page of an upcoming issue! The Danish magazine Historie will include a photo of a vintage Brooks advertisement and postmark in an article on the history of ketchup. Our contact, Lisa Henssel Joergensen, tells us the magazine is read throughout Denmark, Sweden, Norway, Finland, Iceland and Letland. We're excited to report after attending the Governor's Tourism Conference last month, we won some free advertising space from the Illinois Press Association to help promote this summer's festival. Awesome! Lottery thief has other employees seeing RED! An employee with Bethel-Eckert Enterprises (owners of the grocery distributor which owns the Catsup Bottle) has been charged with stealing a $10,000 winning Mega Millions ticket from the office lottery pool! Get the scoop from Jasmine Huda from KSDK Newschannel 5 in St. Louis by clicking here, and get the Belleville News-Democrat story by clicking right here. An educational publisher Les Editions CEC in Montreal, Canada, was in touch with us to use a Catsup Bottle photo in its "Real Time" activity book for English as a second language courses. The text about the Catsup bottle and the Fan Club will be used to highlight different verb forms. Publication is scheduled for May and the book will be used mainly in the Québec province and then a few other schools and colleges throughout Canada. Our all time favorite, totally authentic cowboy-jazz-western-swing band Cow Bop is returning to the road... the Mother Road, that is! Departing from Chicago on May 12, the guys (and gal) from California will travel Route 66 all the way to LA to support their new CD and JazzMastersWorkshop. In October of 2005, Cow Bop played under the Catsup Bottle and at the Oatman House Restaurant. We look forward to hanging with them again! The Route 66 Association of Missouri is starting its motor tour on our side of the river this year! They're going to kick things off at the Catsup Bottle of Friday night September 5 and cruise to Lebanon, Missouri, on the 6th and 7th. Click here for official motor tour information! The World's Largest Catsup Bottle has been inducted into the Illinois Route 66 Hall of Fame! Special thanks to Marty Bilecki for submitting the application, and thank you to all on the committee who voted us in! The induction ceremony will be held in Lincoln, Illinois, on June 7 during the 2008 Illinois Motor Tour from the Chain of Rocks Bridge to Wilmington. The Illinois Route 66 Hall of Fame and Museum is located in downtown Pontiac, Illinois. We just received an email from Miranda Summers letting us know the YouTube version of her video has been posted. It was made as part of the KDHX Neighborhoods in Focus program. The 8-minute documentary discusses The Bottle District development, the giant Vess bottle, the neon Brooks catsup bottles, and the catsup bottle water tower. 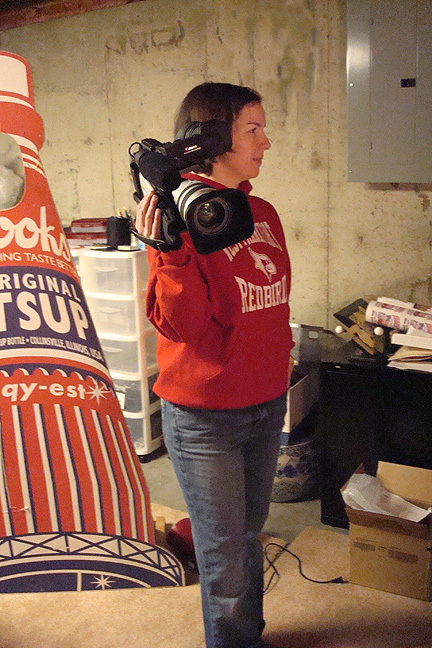 Keep your eyes glued to your screen to catch the Catsup Bottle Lady and the Big Tomato toward the end of the piece. Here's the direct link to the video on YouTube. News reports indicate that French's mustard has placed the highest bid to repaint the catsup bottle! Oh wait - what is today? April 1st...? It's April Fool's Day!!! Sorry, just a joke! Well, our little joke it the spot because it was reported on KSDK Channel 5 that morning and KFUO radio had an interview with the Big Tomato later in the afternoon. We had a really quick, fun little interview at the Catsup Bottle with The Uglistick. The band played Chicago last night and hit sites along the way as they geared up to play at the Way Out Club in St. Louis on Wednesday night. More info coming soon as to why they paid us a visit. We really like these guys, so stay tuned! Cow Bop performed in Edwardsville at the Stagger Inn... Again on Wednesday, May 14. 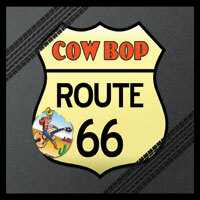 Our all time favorite, totally authentic cowboy-jazz-western-swing band is traveling Route 66 from Chicago to LA in support of their new CD and their nonprofit JazzMastersWorkshop. Bruce had a fantastic interview with Jeff Corbin during the "The Back Country" program on KDHX radio in St. Louis. To get the full tour schedule and updates on the band's progress cross-country, click over to www.wayoutwestmusic.com. We said goodbye this morning to Bruce and Pammy and the rest of our Cow Bop friends. After 2 successful evenings playing and hanging out with us, they headed west to continue the Route 66 Challenge Tour. Please make a donation to the cause by supporting JazzMastersWorkshop, a music mentoring nonprofit program for kids. We took some great photos and video - Check 'em out by clicking here! This morning we sent off a bunch of Catsup Bottle photos to AutoWeek Magazine to by included in an upcoming issue. The World's Largest Catsup Bottle is inducted into the Illinois Route 66 Hall of Fame! The induction ceremony was held in Lincoln, Illinois, with members of the Catsup Bottle Fan Club Board of Directors on hand. Special thanks to Marty Bilecki for submitting the application, and thank you to all on the committee who voted us in! The Illinois Route 66 Hall of Fame and Museum is located in downtown Pontiac, Illinois. The 11th annual World's Largest Catsup Bottle Festival Birthday Party and Car Show Bash was held on Saturday and Sunday, July 12 and 13, 2008! For all the details click over to www.catsupbottlefestival.com and click the 2008 archive link! Custom & classic car, truck & motorcycle show, hot dogs (smothered in ketchup) eating contest, ketchup tasting, Princess Tomato & Sir Catsup, hula hoop competition, appearances by Ronald McDonald & St. Louis Rams Cheerleaders, water balloons (filled with ketchup...?) toss, birthday cake, food, fun, games, and live music from the Quarter Draw Band. The video we shot with The Uglistick back in May is up and running! The piece was produced by NAPA Auto Parts and features Rich Christensen from "Pinks" as the host. The 6-1/2 minute clip follows The Uglistick as the band travels Route 66 from Chicago to St. Louis. We were one of their stops along the way. Our segment is a part of Episode 4 on The NAPA Channel which is broadcast online and in all of its stores. This link will take you to our photo page, and this other link will take you directly to The NAPA Channel video site. The World's Largest Catsup Bottle welcomes the Route 66 Association of Missouri! As part of the annual Motor Tour kick-off, participants gathered at the base of the Catsup Bottle to hang out and get set for the "Come to Dinner" themed weekend road trip down Route 66 through Missouri. Many thanks to Kip Welborn and the other organizers for including us in their plans. 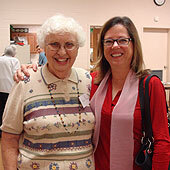 You can check out our photo gallery of the visit right here! 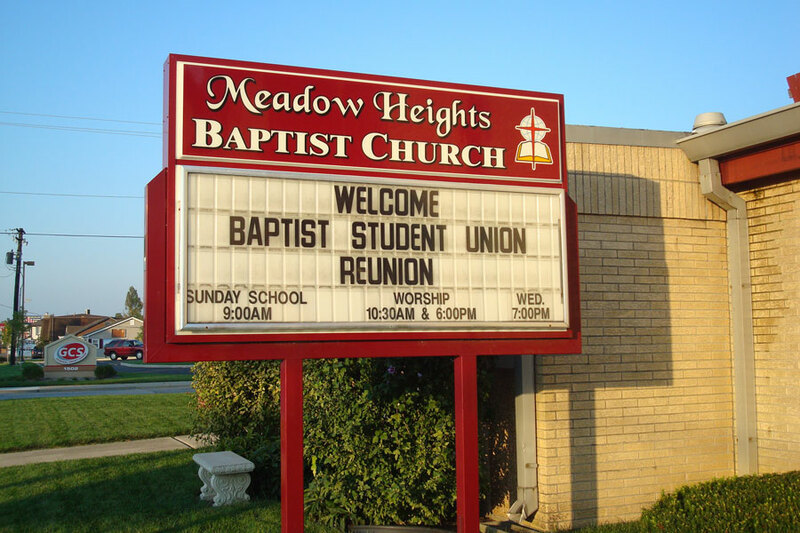 An enjoyable evening was had by all as we attended the Baptist Student Union reunion held at Meadow Heights Baptist Church in Collinsville. 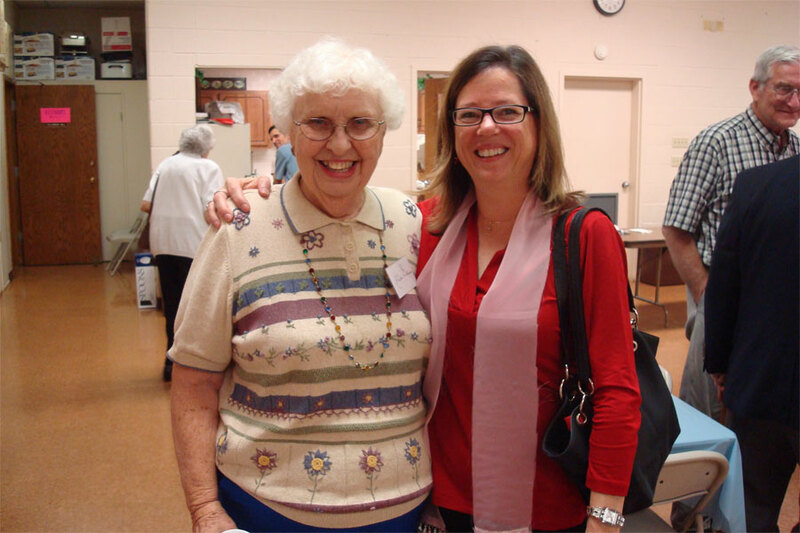 Organizer, Helen Galagher, asked us to give a 30 minute Catsup Bottle slide show presentation as part of the event's "Nifty 50s" theme. Those in attendence were BSU members at Southern Illinois University at Carbondale during the 1940s, 50s, and 60s. A lot of hard work was put into tonight's event and we all definitely appreciated it! Our piece we filmed with KMOV Channel 4 finally hit the airwaves today. It was worth the wait! Producer/reporter (and Belle-vegas native) Tim Tialdo and his crew did a fantastic job as they attemp to get to the bottom of the age old question... "Catsup or Ketchup?!?" Click here to check out the video as seen in the Hidden Treasures segment on St. Louis' newest daytime talk show, Great Day St. Louis! We had two, count 'em, two, photo requests come in today! The second request came from Publications International, a book publisher in the Chicago area. The fine folks there had previously included the Catsup Bottle in the book Roadside Americana. Their new project is just getting started, and we are definitely going to be a part of it. We will keep you posted as each of these projects move forward! 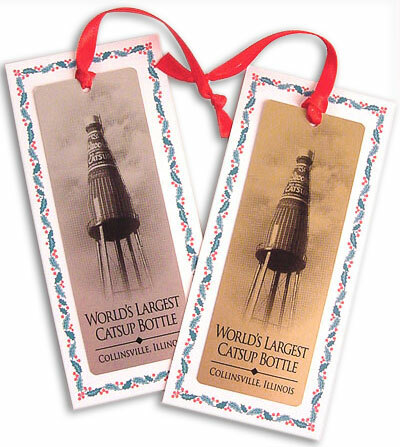 As the gift giving season quickly approaches, we are proud to announce the brand-spanking-new Catsup Bottle Christmas ornaments! Each ornament comes with a bright red ribbon and mounted on a decorative card with "Seasons Greetings 2008" and its production unit number on the back. The image of the Brooks® catsup bottle water tower is photographically developed into the metal and hand-polished for a permanent, never tarnishing keepsake. The ornaments are 1.63" x 4.5" and come in silver or gold finish. They're the perfect gift for friends and family, or an extra special stocking stuffer just for yourself! Order today by clicking through to our merchandise page! Or, if you're in the Collinsville area, visit Ashmann's Pharmacy and Gifts at 209 East Main Street, (618) 344-2300. They're open every day 'til 9:30 pm! 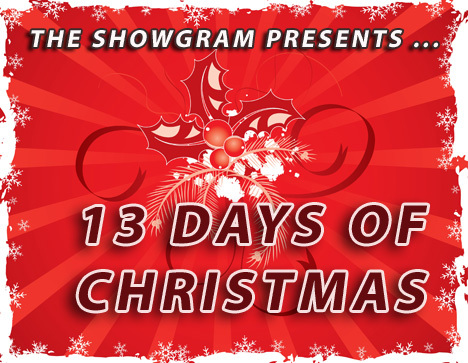 Today is the day to tune in to the Morning Showgram on K-HITS 96 for the "13 Days of Christmas" promotion! We have provided a gift package to give away full of Catsup Bottle goodies which includes t-shirts, coffee mugs, the new Catsup Bottle Christmas ornament, and a whole lot more! For your chance to win thousands of dollars of other spectacular (even better) prizes - listen to 96.3 FM every weekday morning from 6:00 to 10:00. For all the details log on to K-Hits 96 now or tune in at 96.3 FM first thing in the morning! Don't miss out! • Morning Show host J.C. Corcoran utters one of the best quotes of all time this morning, "They sure do it right over there in Collinsville with the Catsup Bottle and everything. Y'know those guys in Roswell with all the aliens and stuff got nothin' on them!"